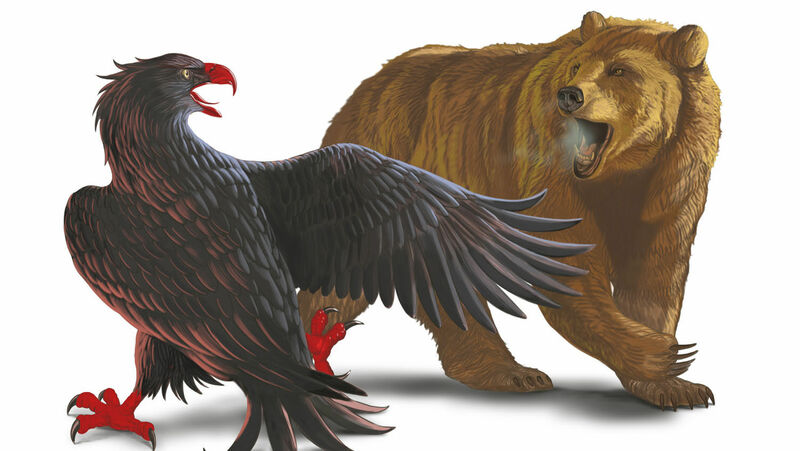 Understand the past of these powerful friendly enemies, and you will better see their future. They are the best of friends. They are the worst of enemies. No relationship between two countries is more fascinating than that of Germany and Russia. And no relationship is more important to the future of the world. A German-Russian alliance would dominate Europe and Asia. Its combined resources could challenge any power on Earth, including the United States. This is why ensuring no country or alliance controls all of Europe and West Asia has been America’s top foreign-policy goal for the last century. No country has succeeded in ruling that territory. But a German-Russian alliance has come close. Perhaps no other relationship has been so influential on European history. Today America is retreating from the world, and Europe is beginning to stand on its own. Consequently, the world’s future will once again be determined by the German-Russian relationship. Which makes its history essential to everyone. This history shows why a Russian-German alliance is alarmingly plausible. For centuries, the relationship between Russia and Germany has been consistently inconsistent. Few nations have had a closer relationship. Time and again, the two have schemed together against their neighbors. Russia, in one of its periods of greatness, was even ruled by a German. Yet time and again, Germany has transformed into Russia’s nemesis, coming closer than any other power since the Mongols to wiping it out. And Russia has been the nemesis of European empires—the juggernaut pressing against the whole of Europe’s 3,400-mile border, and often spilling over it and crushing everything in its path. The viciousness of these conflicts has been appalling. The historical forces that have caused these patterns of attraction and repulsion still exist. Russia wants access to European experts. Germany wants Russian raw materials. Both want peace with the other in order to expand their power and influence in other regions. Yet at the same time, each is a major threat to the other. There is no easily defensible geographical barrier between Germany and Russia—no mountain ranges or vast rivers. Therefore, a quick strike from one threatens to cripple the other. Perhaps the most contentious subject between Russia and Germany is the land between them. Understanding this issue takes us back to the 12th century. So much of Russia’s destiny, including its relationship with Germany, originates with one man. Temüjin Borjigin was born in 1162, the second son of a tribal chief. Exiled and impoverished as a child, he seemed destined for poverty. Instead he became a sharp military and political leader, united the Mongol tribes, and took the name Genghis Khan. Then he pushed outward. The Mongols crushed empires from China to Eastern Europe. The empire of the Rus, centered around Kiev, fell. For centuries, the Mongols dominated Russia. The Russians blamed the Mongols for cutting them off from Europe, leaving them isolated and scientifically behind. But the Mongols—and others like them—also left their mark on Germany. Nomadic tribes pouring across the vast, empty Eurasia steppe had been a threat to Europe long before the Mongols. The slaughter left the lands to the east of Germany depopulated. The local rulers were eager to attract industrious and courageous subjects. The Germans filled that need. Booming in their homeland, thousands of Germans pushed east. Known as the Ostsiedlung (“eastern expansion”), the push settled huge German communities across the east in what are now the Baltic states, Poland, Romania and Bulgaria. The Ostsiedlung bred an obsession for the east and for Germany’s destiny in that region. This obsession continued to the time of Adolf Hitler and Mein Kampf. The German-Russian relationship was born in these dying embers of the Mongol Empire. But the Germans weren’t the only people expanding into the vacuum. With Russian power broken, the kingdom of Poland and later the Polish-Lithuanian Commonwealth, along with Sweden, pushed east. These empires geographically separated Germany and Russia. The Duchy of Moscow fully shook off the overlordship of the Mongols in 1480. It spent many years consolidating and rebuilding. 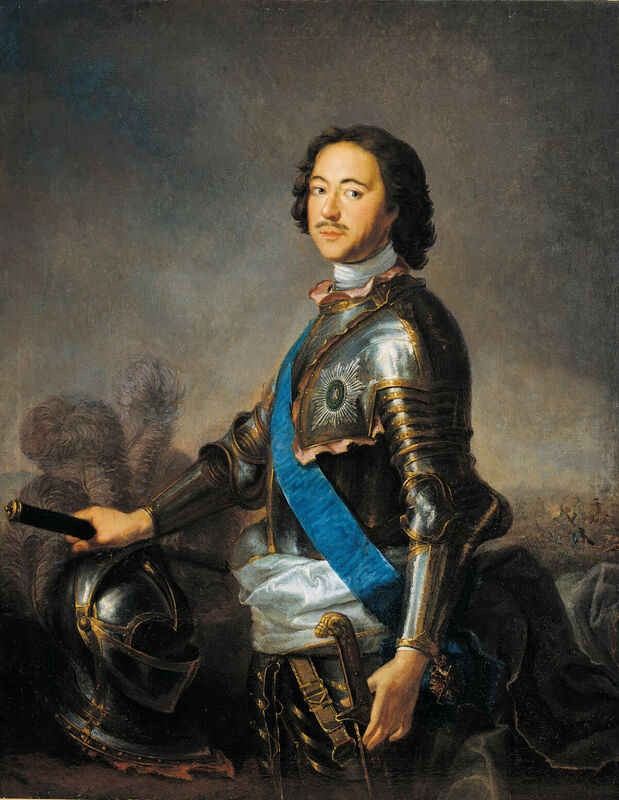 By the time of Peter the Great, in 1672, the Russians were once again becoming a major power, and their relations with Germany became important. Peter brought Russia closer to Europe—literally. He pushed back the Swedish empire and defeated the Polish-Lithuanian Commonwealth. Then he moved Russia’s capital into this newly conquered territory, establishing St. Petersburg on the Baltic Coast. Peter traveled Europe in disguise in 1697 and 1698. He wanted to witness Western society and personally recruit experts to help modernize Russia. Thanks to the Ostsiedlung, Moscow’s population was about 10 percent German by this point. So the Germanic states of the Holy Roman Empire were the obvious place to recruit skilled workers. Peter rounded up experts from across Europe and Germany. He built alliances with the German principalities. His children were all married into princely German families. German expertise helped make the czar “Peter the Great.” And, just as it would in the future, the Russo-German alliance took the form of a secret military pact. In 1732, seven years after Peter’s death, Austria, Prussia and Russia formed the Alliance of the Three Black Eagles, referring to the national symbols of the nations involved. All three agreed to interfere in Polish politics and to prevent Poland from strengthening itself. However, the treaty soon became moot as civil war broke out in Poland and the powers of Europe took sides. But soon the instability in Russia’s relationship with Germany also emerged. Many in Russia feared Germany—particularly the German state of Prussia, a major rising power. German advisers had had huge influence in the Russian government. Many Russians resented this. 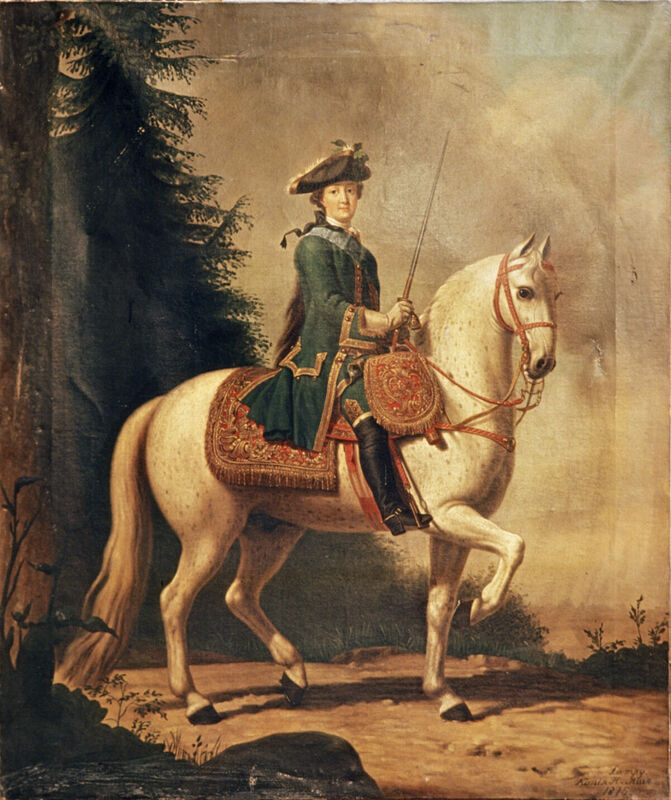 So in 1741, the anti-German faction launched a coup against Peter’s 1-year-old grandson, who was then on the throne. They replaced him with Elizabeth, one of Peter’s daughters. Relations with Germany changed overnight. German advisers were kicked out. As war loomed in Europe, Elizabeth aligned Russia with Austria and France—against Prussia. Then came what Prussians called a “miracle”: In 1762, Empress Elizabeth died. She had no children, and so her nephew was her heir. Peter iii was the son of Elizabeth’s sister, who had moved to Germany and married a German prince. As a result, Peter was born in Germany and spoke German better than Russian. Suddenly Russia switched sides again. The Russian soldiers stopped invading Prussia and started helping them. Prussia recaptured lost territory. Austria was forced to make peace. Six months later, Germany gained even more influence in Russia. Peter iii was not a popular ruler. His wife, Catherine, helped organize a coup against him. Peter was arrested and later killed, and Catherine become empress in her own right. Now the ruler of Russia was not a blood descendant of Russia’s ruling family. Nor was she even an ethnic Russian. She was German. Within months, Russia and Prussia had transformed from mortal enemies to closest allies. Russia still needed skilled laborers. So Catherine invited Europeans to live in Russia, while preserving their culture. These migrants would be immune from conscription and free from many taxes. They were even allowed relative religious freedom. The offer was aimed at Germany, and Germans responded in droves. By the time Russia took its first census in the late 1800s, around 2 million people living in Russia listed their first language as German. Russia and Prussia also cooperated in a way that will sound familiar to modern readers: They divided up Poland. Russia, Austria and Prussia split Poland into three, in a series of partitions, until Poland was removed from the map. This wasn’t just Catherine being nice to Prussia because she was German. She too became known as “the Great.” With a secure treaty with Germany, Russia expanded elsewhere. Catherine pushed back the Ottoman Turks. She conquered territory in the Caucasus. By the end of her reign in 1796, Russia had expanded by more than 200,000 square miles. But Germany wasn’t the only European power that Russia worked with. Before Catherine died, a political earthquake had begun that would shake the foundations of Europe. Since 1789, France had been convulsed by revolution. Then its armies pushed outward with new zeal. Once Napoleon Bonaparte took control in 1799, they seemed unstoppable. In 1807, Napoleon was master of Europe and much of Germany. If Russia wanted to deal with Europe, Napoleon was the obvious partner. In 1807, Czar Alexander i and Napoleon signed the Treaty of Tilsit. It contained a secret clause that split Europe between Russia and France. Russia secretly agreed to help France against Britain in the West, while France secretly agreed to help Russia against the Ottomans in the East. Napoleon and Alexander even discussed a joint attack on Britain in India. But the alliance fell apart in 1812, when Napoleon decided the Russians were not doing enough against Britain and attacked them. Once again, Europe and Russia whiplashed from friends back into enemies. At the same time, Russia still maintained close relations with the Germans. Many of Russia’s top generals were German. When Prussia made peace with France, several Prussian officers went to Russia—including the now famous Karl von Clausewitz—so they could keep fighting. Napoleon’s 1812 campaign against Russia failed abysmally. He and his allies lost hundreds of thousands of men. In response, huge Russian armies marched all the way to Paris. Their memory intimidated Europe for years to come. To this end, Germany, Austria and Russia formed the League of the Three Emperors in 1873. Austria later quit the alliance, so Russia and Germany signed the Reinsurance Treaty in 1887. In this secret treaty, each nation promised to remain neutral if the other got involved in a war with another major power (with some exceptions). Germany also gave Russia a free hand to expand around the Black Sea. With its east secure, the newly unified, Prussian-led German nation was able to establish itself and become the dominant power in Europe. But in 1890, Bismarck was forced out of office by the new kaiser, Wilhelm ii, who quickly reversed the policy on Russia. He feared Russia and envied its control of Eastern Europe. In 1914, Germany attacked Russia. Inspired by the legacy of Ostsiedlung, the German government wanted to carve out a colonial empire in Central and Eastern Europe. Both the kaiser and his chief of general staff, Helmuth von Molkte, envisioned a race war that Molkte described as “a struggle between Teuton and Slav.” This would allow Germany to take its “natural” position as leader of the Slavs in Eastern Europe. It nearly worked. In 1917, Germany got everything it wanted. On March 8, the “February” Revolution in St. Petersburg overthrew Russia’s Romanov dynasty. And Germany sensed an opportunity. German Gen. Erich Ludendorff sent an invitation to Communist revolutionary Vladimir Lenin, who was then living in Switzerland. Germany would guarantee Lenin safe passage through Germany and help him reach Russia. The Germans used Lenin “like a typhoid bacillus,” Winston Churchill later said. Russia’s new government was continuing the war against Germany, and the Germans hoped Lenin would undermine it. It worked beyond their wildest dreams. Lenin arrived in early April 1917. On November 6, he launched the “October” Revolution. The Communists seized power. Quickly Lenin signed a peace treaty that gave the Germans almost everything they wanted. Thus began a relationship that would continue for decades. After World War i, Germany and Russia were officially on bad terms. Many Russian Communists wanted to bring the revolution to Germany. After one attempt in November 1918, Germany kicked out the staff of the Soviet Embassy. Unofficially, contact continued. “The links of self-interest established between [Lenin] and the German military in November 1917 seem to have been maintained, albeit sometimes in tenuous form, even after the Armistice,” writes historian Paul Johnson in Modern Times. Their relationship followed the same pattern it had for centuries. Germany helped Lenin’s Bolshevik faction, sending them military advisers, weapons and, “in due course, industrial experts in building new war factories” (ibid). Lenin, Trotski and other Russian leaders gather for the 3rd Anniversary of the revolution of October 1917 on November 7, 1920. On April 16, 1922, Germany and Russia signed the Treaty of Rapallo. On the face of it, this was a standard diplomatic rapprochement between two former enemies. But it opened the door for much closer cooperation between Germany and Russia—cooperation that was not fully uncovered until much later. Germany would carry out military research, development and training—which had been outlawed by the Treaty of Versailles at the end of World War i—in Russia. In exchange, Russia would train with the German Army and share in the military advances. Germany set up secret bases, factories and airfields in Russia. This was 20 years before Germany would fight the United States. Thirty-three-year-old Adolf Hitler hadn’t even begun his rise to power. Yet Russia and Germany were already conspiring against the West. This secret alliance was one of the main reasons Germany was able to explode into power once Hitler became chancellor in 1933. Known as the Molotov-Ribbentrop Pact, or the Hitler-Stalin pact, the deal was announced as a “nonaggression pact.” It was the opposite; it defined which parts of Eastern Europe that Russia could aggress with German approval, and vice versa. It was exactly the way that Fredrick and Catherine, and Napoleon and Alexander, had split up Europe before. It also paved the way for worldwide Communist support for Nazi Germany. Stalin sent Germany 1 million tons of grain, 900,000 tons of oil, iron ore and other minerals—allowing the vast natural wealth of Russia to fuel the German war machine. Viewing current events in light of this history illuminates their significance. The same pattern is developing once again: German expertise traded for Russia’s raw materials and some sort of agreement not to oppose each other. Russia already has one undersea pipeline for natural gas that leads to Germany; now it is constructing another. The pipeline is the epitome of the old German-Russian relationship. Russia uses its gas as a weapon. Russia has repeatedly cut off gas to Ukraine to force political concessions. However, this has been a blunt weapon. If Russia cut off gas to Ukraine, it also meant cutting off gas to all the other countries that received Russian gas via Ukraine. It provokes many nations beyond Ukraine and loses Russia a lot of money. The new pipeline turns the gas supply into a more precise weapon. Russia can cut off whichever East European nation it wants while still supplying other countries via Germany. Germany is helping Russia gain power in Eastern Europe. For this reason, statesmen in Poland and Eastern Europe have taken to calling this Nord Stream 2 pipeline the “Molotov-Ribbentrop 2” pipeline. LAYING PIPE - The Nord Stream 2 pipeline is laid across the Baltic Sea. In exchange, Germany gets cheap gas and tacit leverage over the countries that will now get their gas from Germany. The transport cost for the new pipeline is estimated to be 40 percent cheaper than previous overland pipelines. Germany is benefiting even before the new pipeline is completed. “Are Berlin’s close energy ties with Moscow paying off?” Bloomberg asked in April. “Data from Russia’s Federal Customs Service shows they might be after Germany paid less for natural gas from the world’s largest exporter than most other buyers” (April 25). It noted that if Germany’s rate had risen at the same pace as gas rates in Italy and France, it would have spent $1 billion more on gas last year. Germany’s economic surge is once again being powered by cheap Russian resources. The deal was masterminded by former German Chancellor Gerhard Schröder, who walked out of the chancellor’s office and straight into a job with Gazprom, the Russian government-controlled energy giant. His focus was to lead the Nord Stream 2 project. He is now chairman of Rosneft, Russia’s largest oil firm—and heir to a long tradition of German leaders with a career in Russia. Russia’s conventional oil and gas resources are being depleted. So to make its gas supply as effectively weaponized as possible, Russia needs Western expertise. Germany, along with other European countries, is providing it. Firms like Germany’s Wintershall and France’s Total were initially involved in Russian offshore Arctic drilling. But U.S. sanctions pushed them out. These sanctions have cut Russia off from some Western expertise and slowed its oil drilling in the Arctic and other hard-to-reach areas, but other contacts continue. BP still owns a 20 percent stake in Rosneft. Italy’s Eni S.p.A. partnership with Rosneft has also continued. And with some of the giants gone, smaller companies are filling the gap. Germany’s fmc Technologies and France’s Linde are helping Russia’s liquefied natural gas project in the Yamal Peninsula. Shell began talks to get involved there in September. The Yamal project is relatively small, but it will provide Russian companies with invaluable experience on extracting fossil fuels from hard-to-reach spots. Outside of oil and gas, German technology is still essential. Eighty percent of Russian power stations use advanced turbines manufactured by Siemens. The German company has been instrumental in upgrading Russia’s transport infrastructure. And this isn’t its only connection. bne IntelliNews, a site focused on business news in emerging markets, wrote: “Siemens probably has one of the best and closest relations to the Kremlin of any foreign company working in Russia. The relationship was brokered by Gerhard Schröder, the former German chancellor and subsequent buddy of [Russian] President Vladimir Putin, who would personally attend meetings between Siemens’ ceo and Putin when they were discussing business” (April 17). Time and again, Schröder has taken the lead in forging links between Germany and Russia. This was the subject of Trumpet editor in chief Gerald Flurry’s cover article in the September issue. “We need to carefully watch what is happening right now between Germany and Russia,” he wrote. The history between the two nations confirms this warning. Mr. Flurry pointed to the role Schröder has played in orchestrating this energy alliance with Russia, which fundamentally undermines nato. “The fact that [Putin and Schröder] are working so closely together strongly indicates that they agree on a plan to destroy nato,” he wrote. In 2008, Mr. Flurry asked, “[D]id you know that Germany and Russia have probably already dealt with their most urgent differences? … I believe that Germany’s leaders may have already agreed to a deal with Russia, a modern Hitler-Stalin pact where Germany and Russia divide countries and assets between themselves. This agreement would allow each to turn its sights on other targets. Any such deal that may have been struck between Germany and Russia is a precursor to war!” (Trumpet, November-December 2008). Germany looked the other way while Russia invaded Georgia and then Ukraine. Secret treaties and agreements to divide countries may sound alien in modern America. But history shows they are a regular feature of Russo-German relations. Another secret agreement would simply be a return to the norm. Their history gives powerful reasons to watch the relationship between these two. But the Bible also gives us warning. Jeremiah 1 refers to the coming German-led European superpower as a boiling pot (verses 13-15). “Beneath the surface, that nation is full of simmering dissatisfaction with the current world order,” wrote Mr. Flurry. “Germans are angry at the U.S., and especially furious with President Trump. The imperialistic ambition that prompted Germany to start both world wars is alive and well. It is ‘seething’!” (ibid). Prophecy warns that a German-led Europe is about to boil over, spreading its power across the world. It also warns of a “prince of Rosh,” or Russia (Ezekiel 38:1-2), whose aggression will likewise spread around the world. Our booklets contain a detailed explanation of these prophecies—and many more—revealing an overview of what is to come. But with both these powers rising, and both opposing the United States, we have long forecast that the same familiar patterns from history will emerge again. Russian tanks leave South Ossetia’s capital on Oct. 8, 2008. The Germans and Russians do sign secret deals that remain underground for decades. Modern observers like to think that everyone wants peace and that all nations just want to get along. History reveals otherwise. Nations want power, and they will conspire and go to war to get it. History gives ominous warnings about the results of such bargains. The German-Russian relationship has been at the heart of the most destructive conflicts in man’s history. The Bible gives the same warning, but it also contains a wonderful hope. Mr. Flurry concluded his article: “Men are going to continue in their futile attempts at forging peace. They will have to suffer until Jesus Christ returns. … But His return is tied to this German rising power and this Russian rising power. He says He will return before war has ended all human life! (Matthew 24:22). The rising military powers in Russia and Europe are a big part of what will make it necessary for Christ to return. “God wants us to respond to Him. He says He will help us in any way we need if we will just obey Him. ‘[W]hy will you die, O Israel?’ God asks in Ezekiel 18:31. He doesn’t want any of us to have to suffer! He is eager to spare us from the coming cataclysmic violence and to bless us. America’s status as the world’s lone superpower is rapidly fading. Other nations and groups of nations are angling to fill the void. Rising in the East is an emerging power bloc of tremendous potential—in manpower, economic heft and military might. Its growing presence is intensifying global competition for resources and for geopolitical influence. Where will this trend lead? You can know! 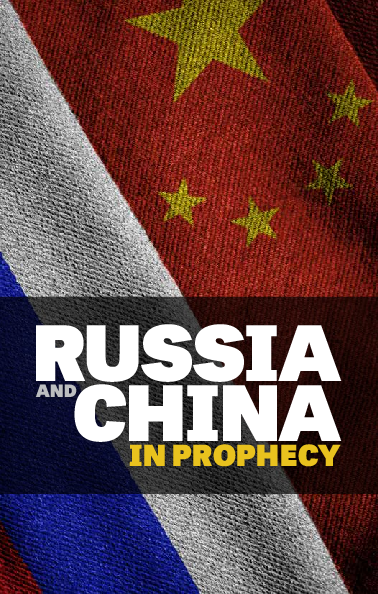 Biblical prophecy provides a remarkable, penetrating preview of Asia’s future!